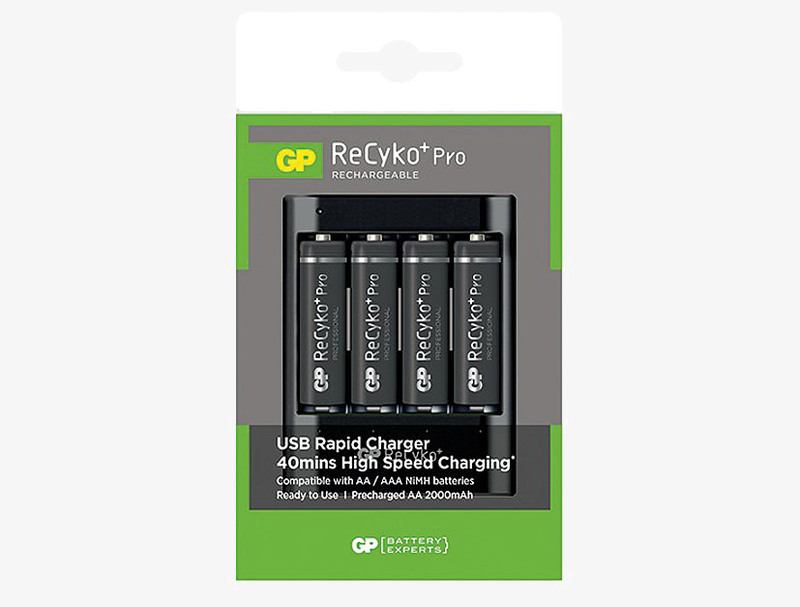 A selection of general purpose and fast USB battery-chargers, suitable for NiMH (nickel metal hydride) rechargeable batteries. Some chargers are packaged complete with rechargeable batteries. Not suitable for NiCd batteries. 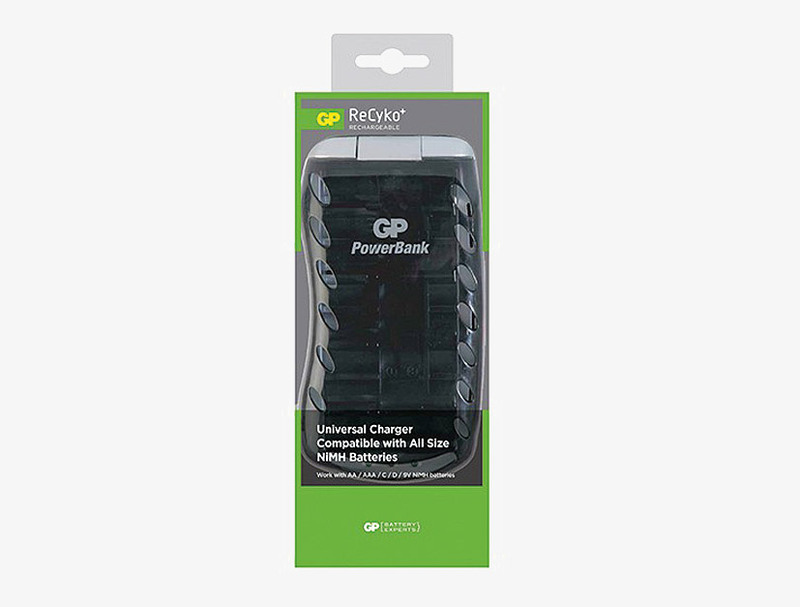 A general purpose UK plug-in charger, which accepts 2 or 4 AA or AAA size NiMH batteries. An LED indicator per channel shows charging status. Supplied with four AA 2000mAh ReCyko+ Pro rechargeable batteries. AC input 230V. Dimensions: 108 x 75 x 33mm. Weight 169g. 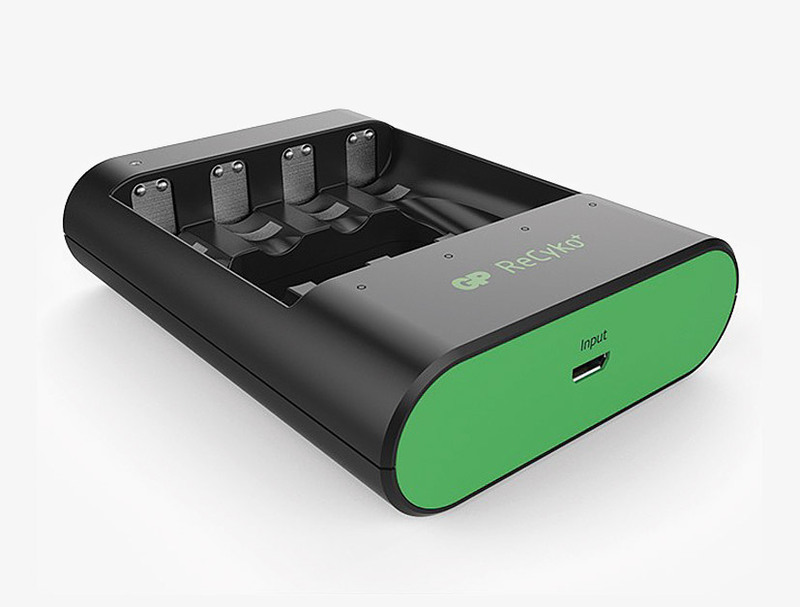 A fast USB charger, with four individual channels, allows charging of 1, 2, 3 or 4 AA or AAA size NiMH batteries. An LED indicator per channel shows the battery condition for the first ten seconds, then switches to show charging status. 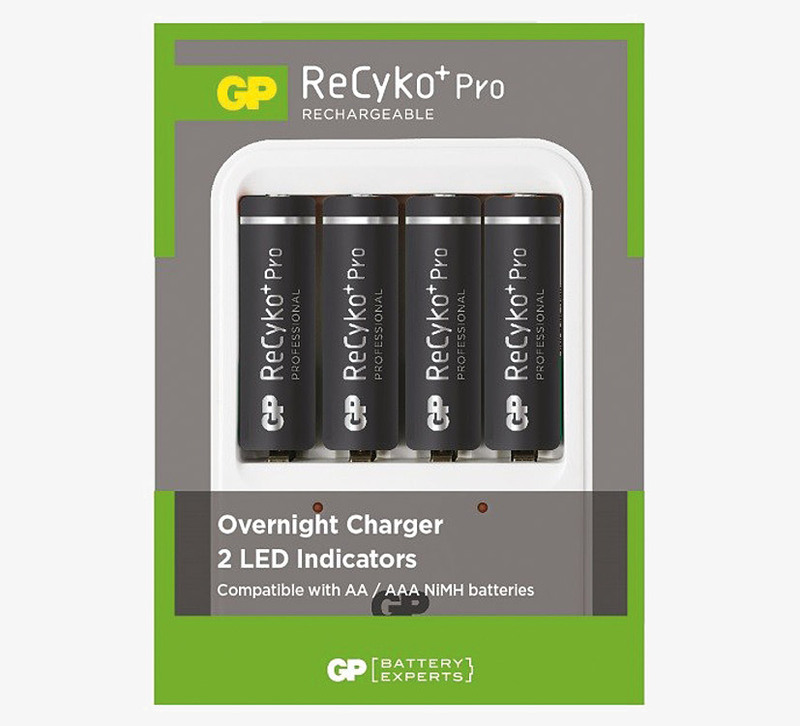 Supplied with four AA 2000mAh ReCyko+ Pro rechargeable batteries. DC input 5V, 1.0 - 2.1A. A USB power cable is included for connection to a USB power adapter. 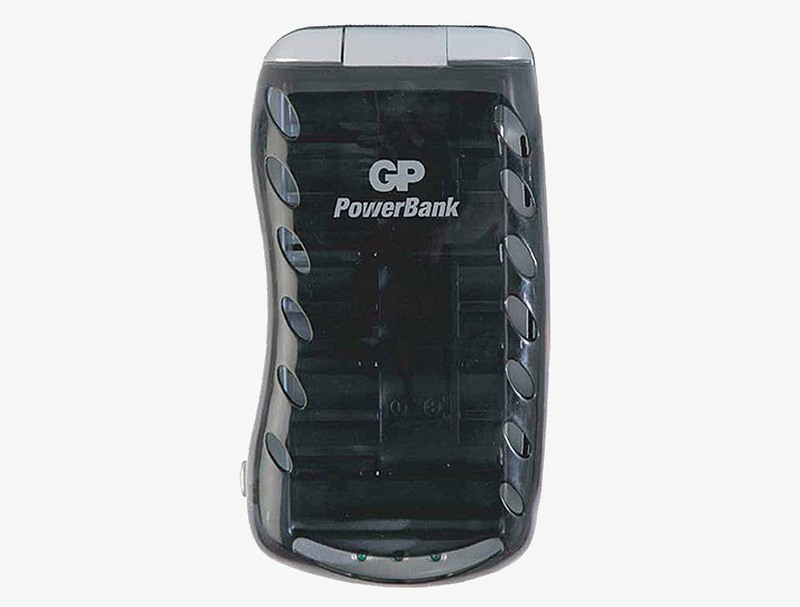 Note (1): Charging time is subject to the power output of the 5V DC USB adapter used. 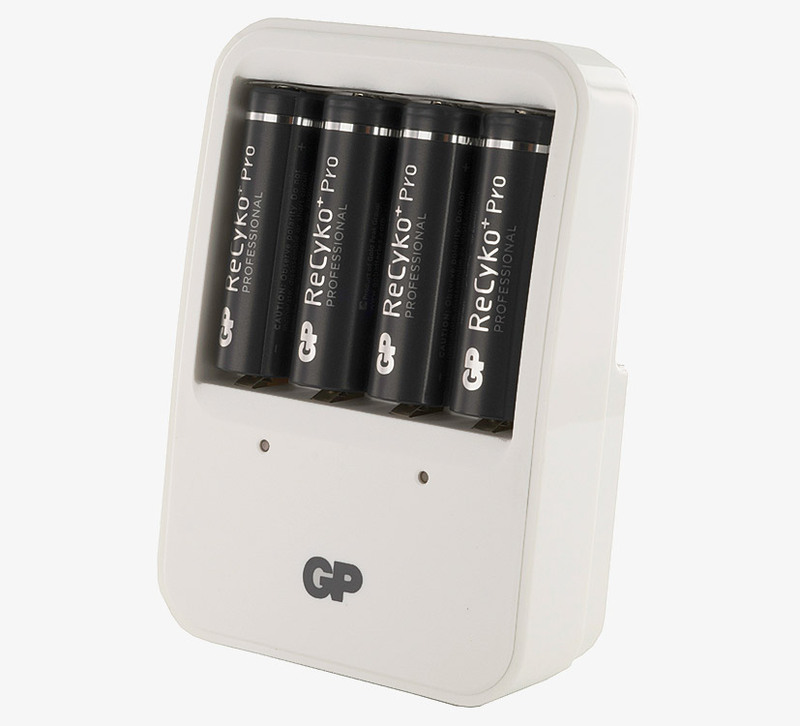 A general purpose desktop charger, which accepts 2 or 4 AA, AAA, C or D size plus 1 or 2 PP3 size NiMH batteries. Auto-sensing of battery type sets charging currents. LED indicators show charging status. Supplied complete with plug-in UK AC adapter. AC input 100-240V.